Hand made to a high quality in a fab Country Kitchen Recipe print. Padded with fire retardant wadding and bound with Burgundy binding. 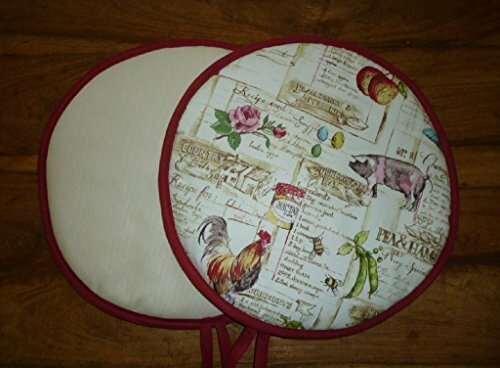 Check out this fab pair of Range Cooker Hob lid covers. 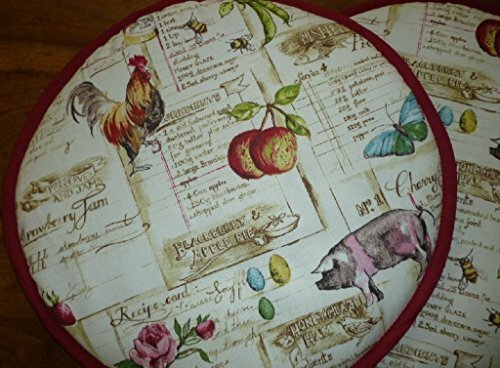 Hand made to a high quality in a fab Country Kitchen Recipe print Featuring Pigs, Chickens and Classic country recipes . Padded with fire retardant wadding and bound with Burgundy binding. Backed in a heavy duty cream canvas drill cotton for durability. With handy loops. Measures 36cms in diameter. Protect your Range Cooker Hob lids from scratches. Not to be used directly on the hotplate. 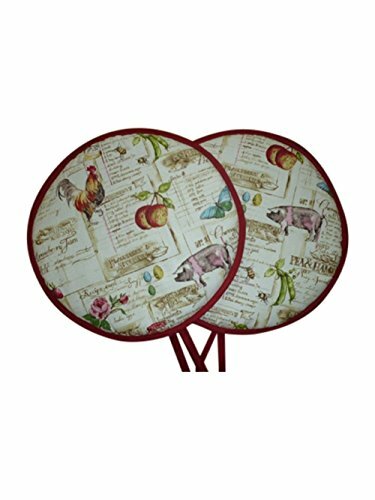 Whilst these are fine to and designed to sit on the Range Cooker Hob lids it is not recommended that they be used to handle very hot pots or dishes direct from the oven as they are not heat resistant.